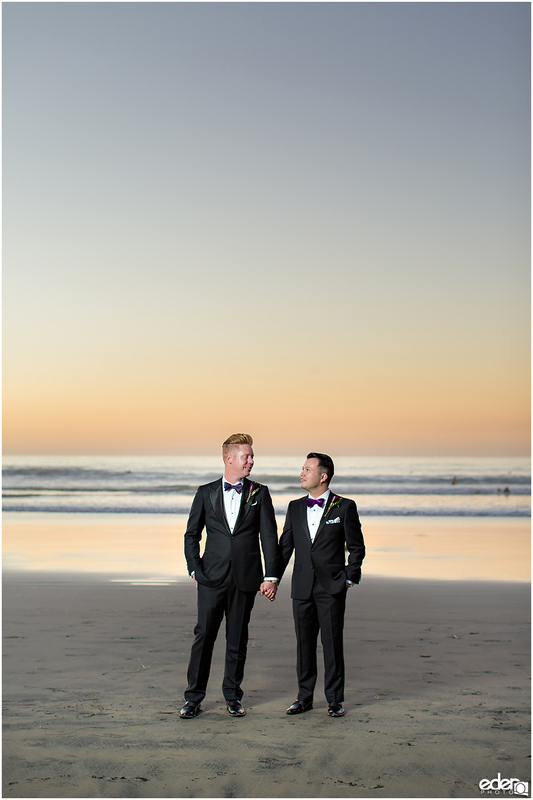 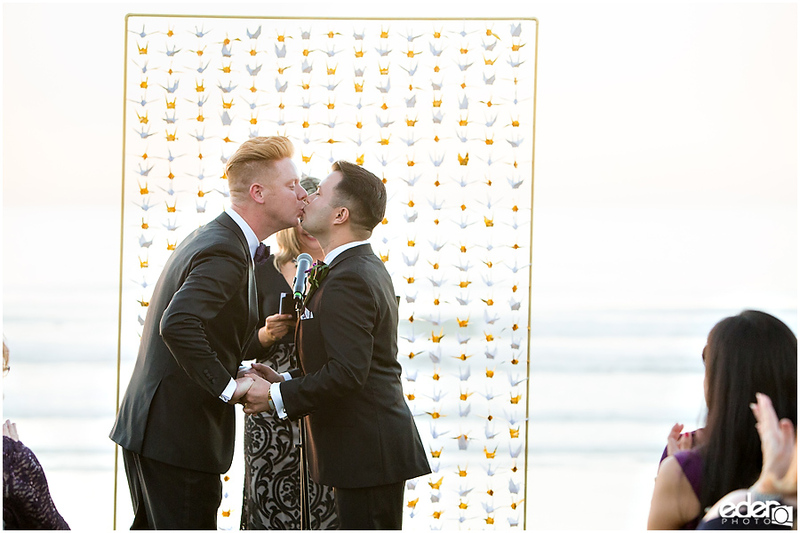 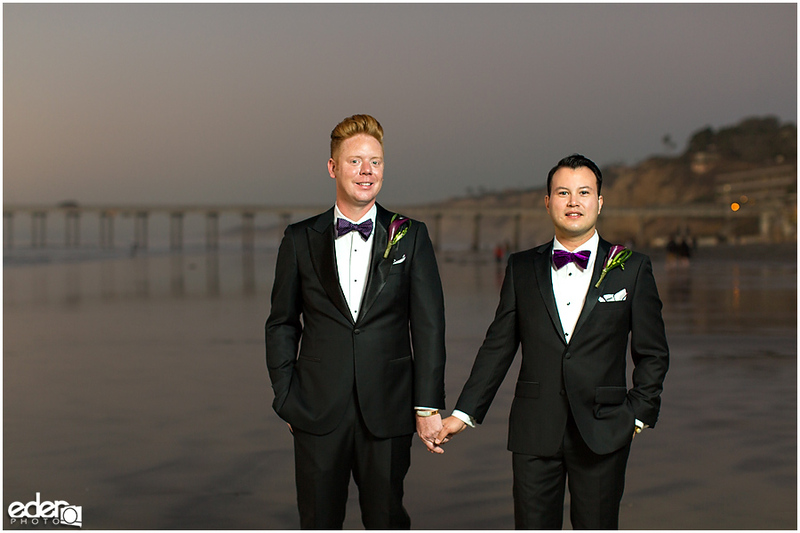 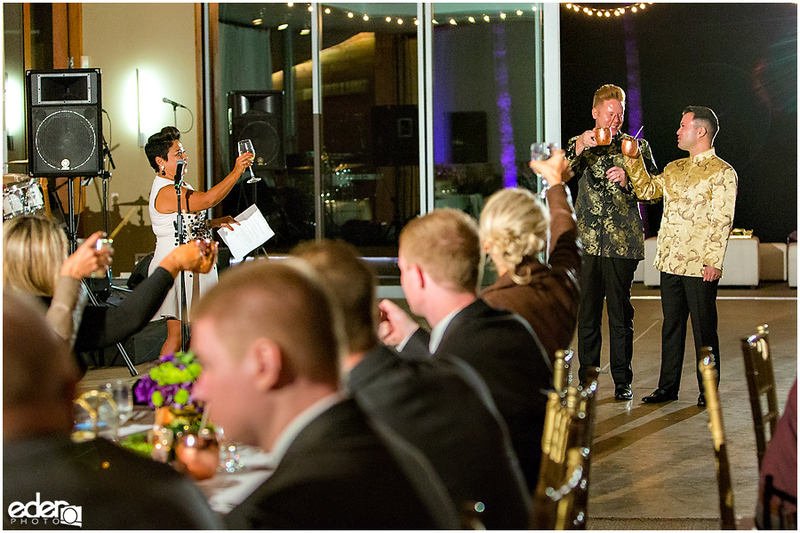 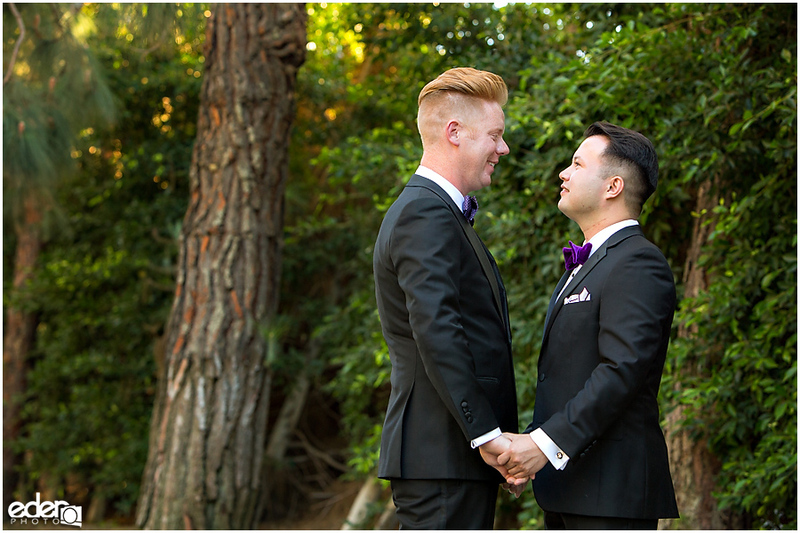 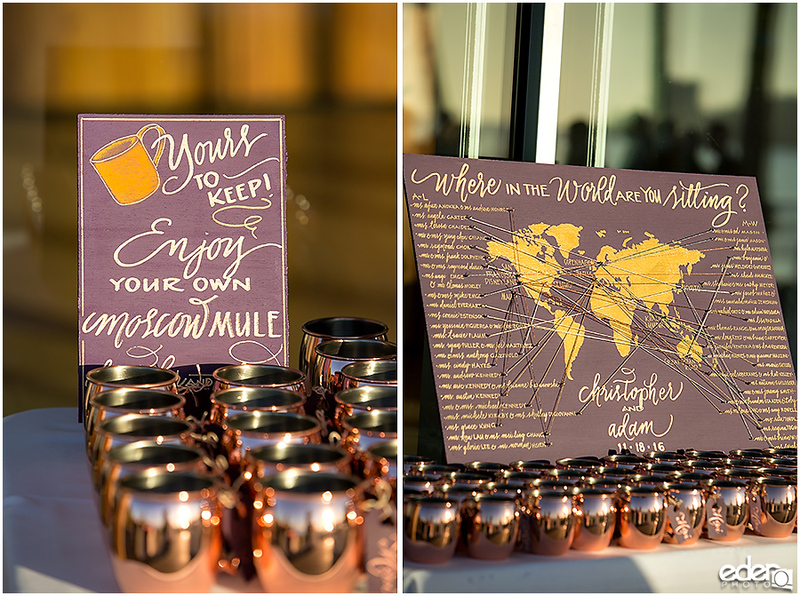 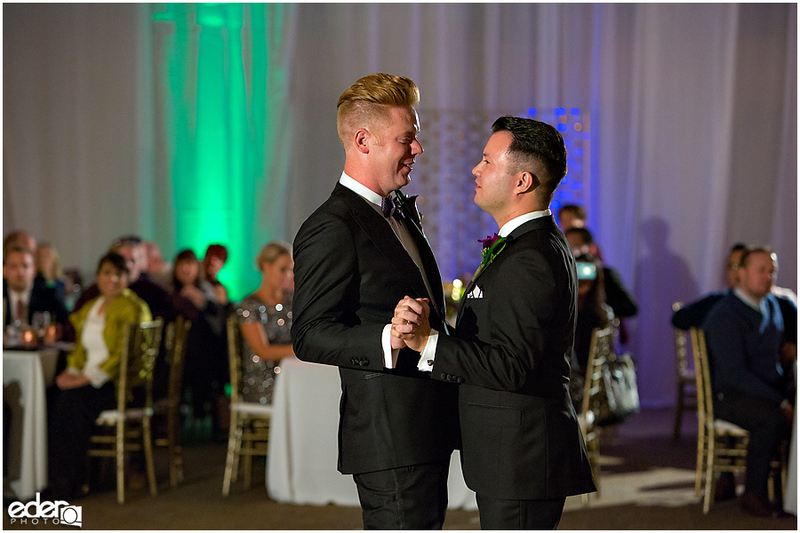 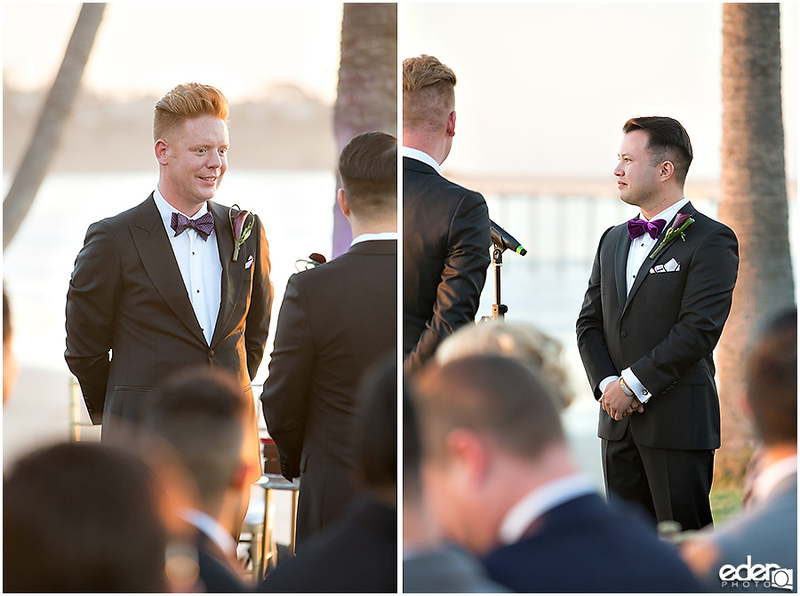 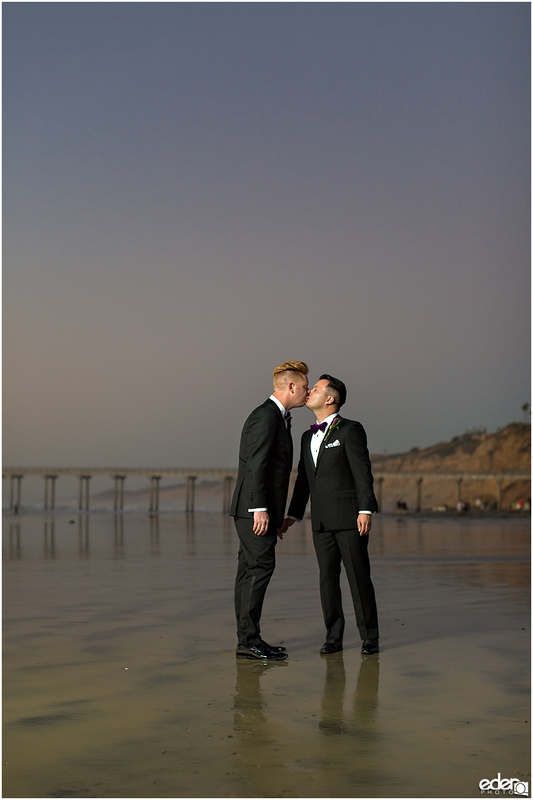 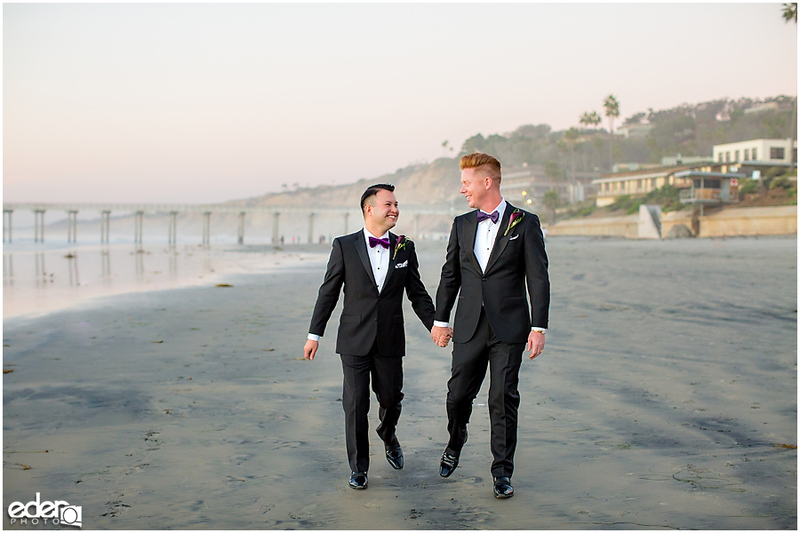 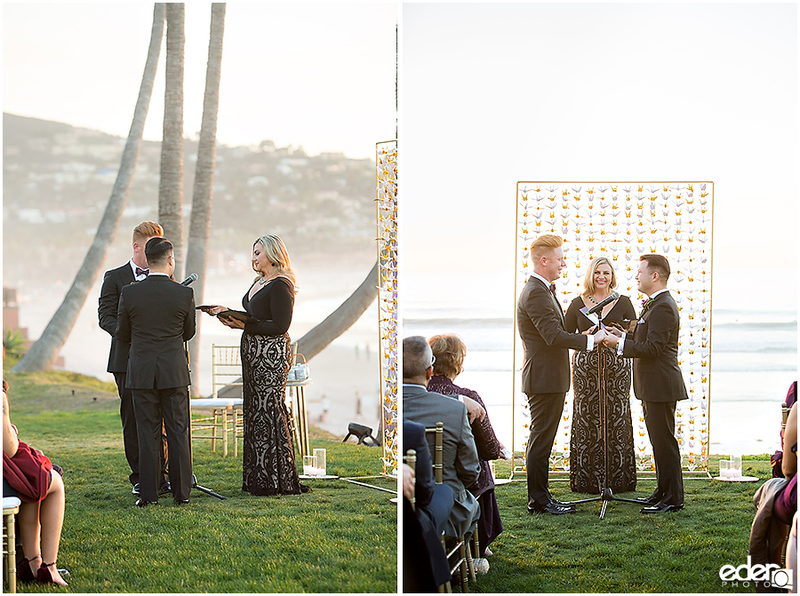 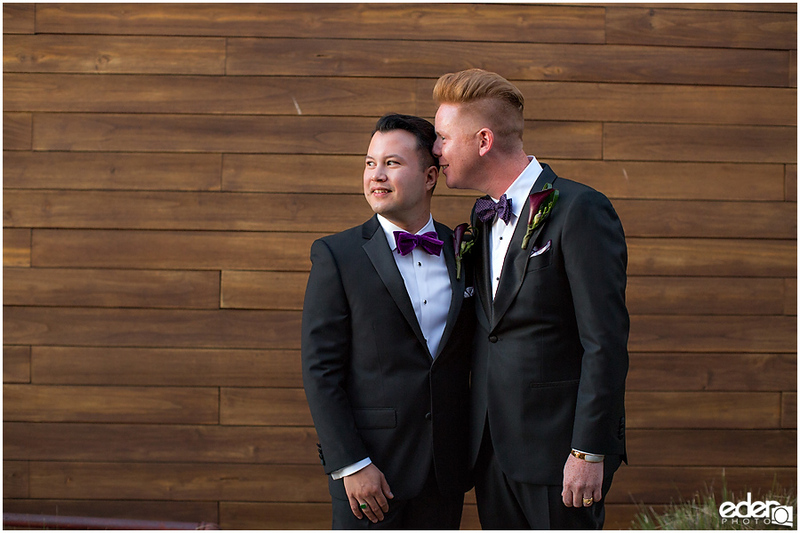 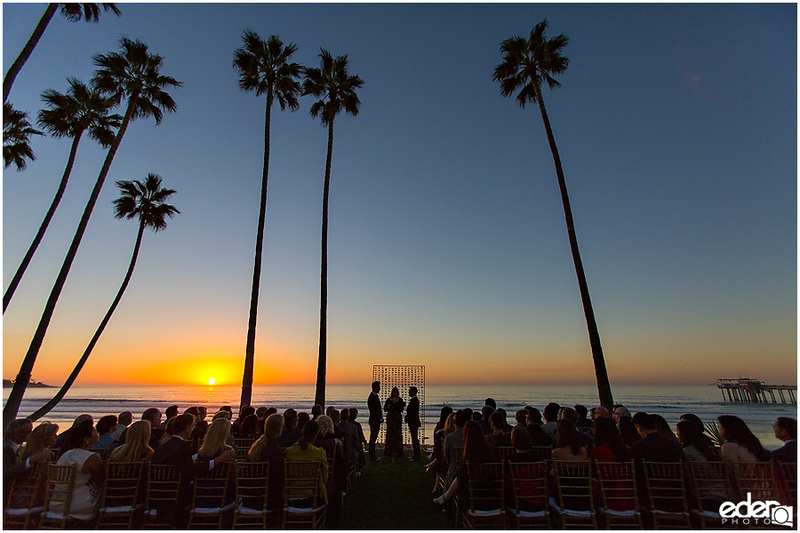 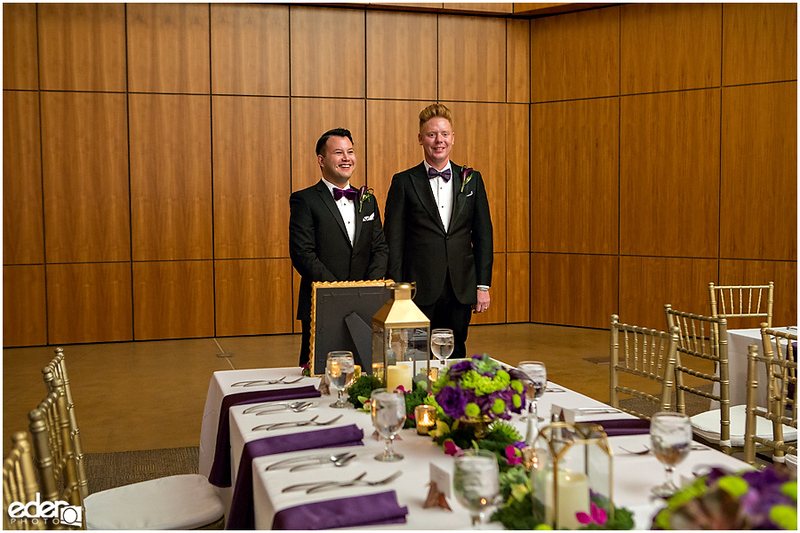 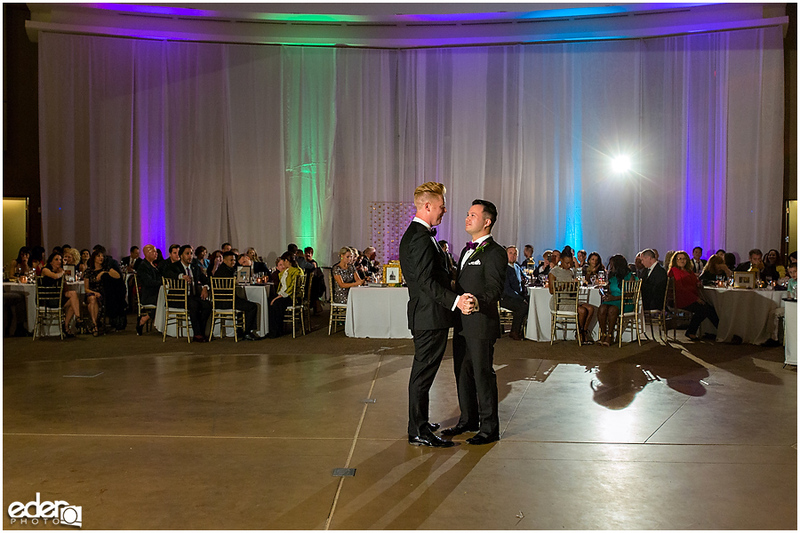 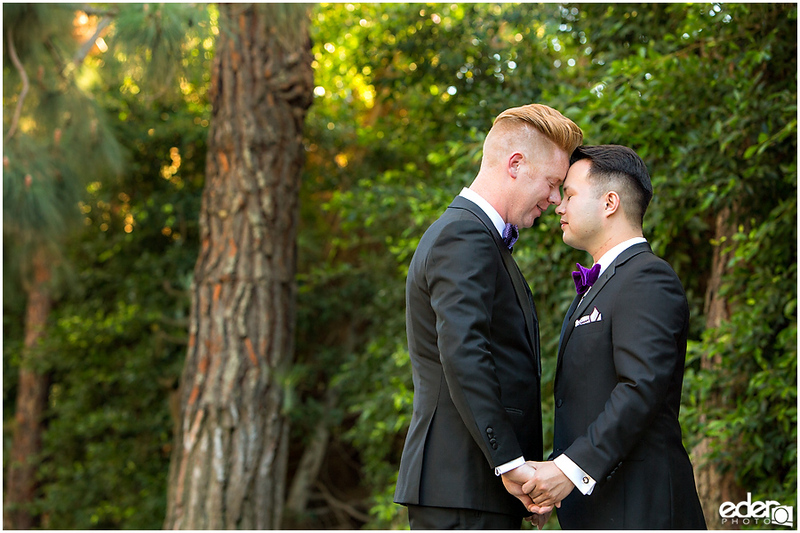 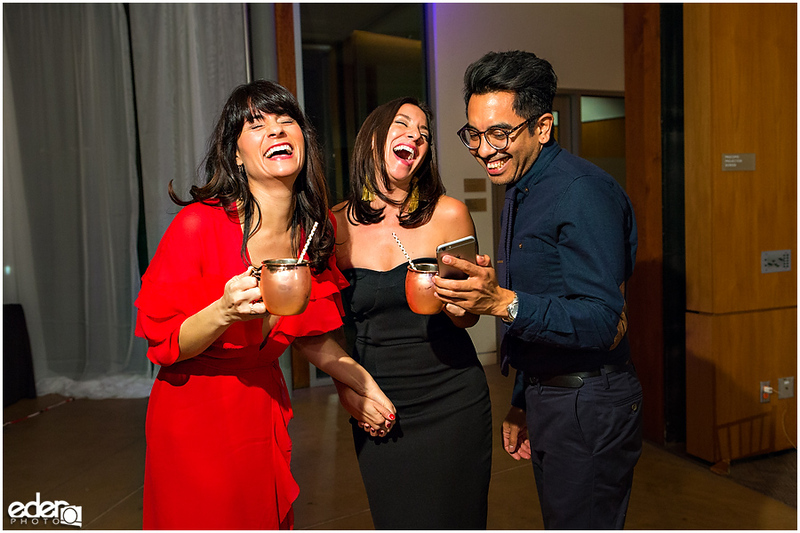 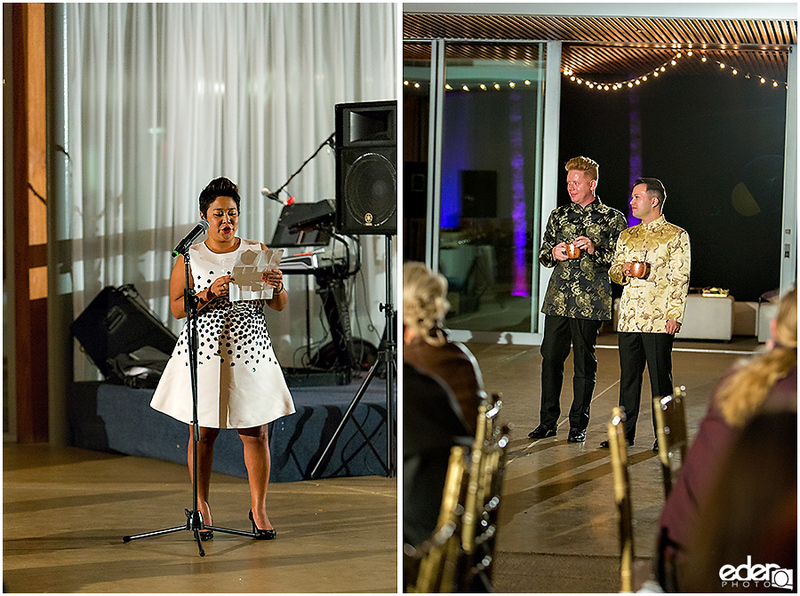 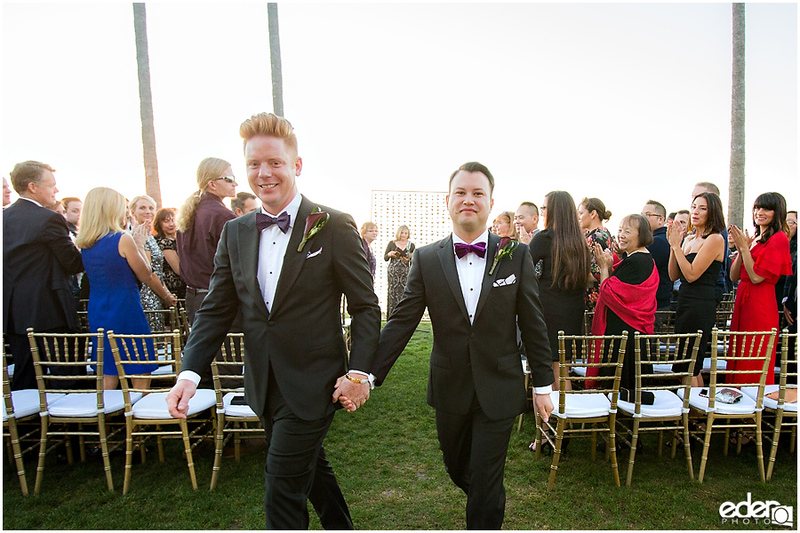 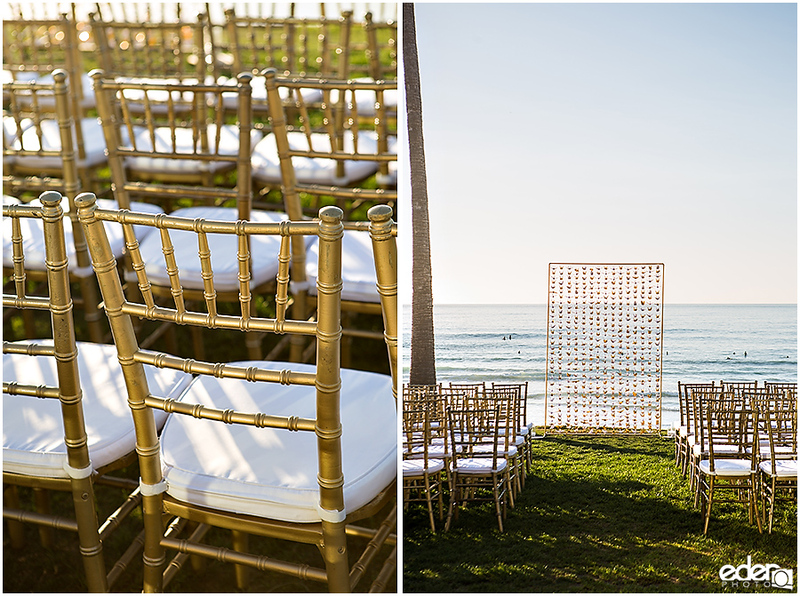 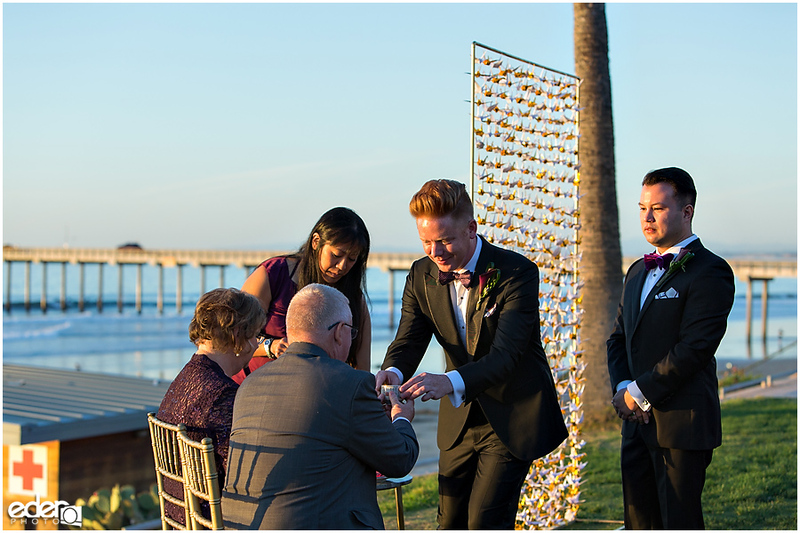 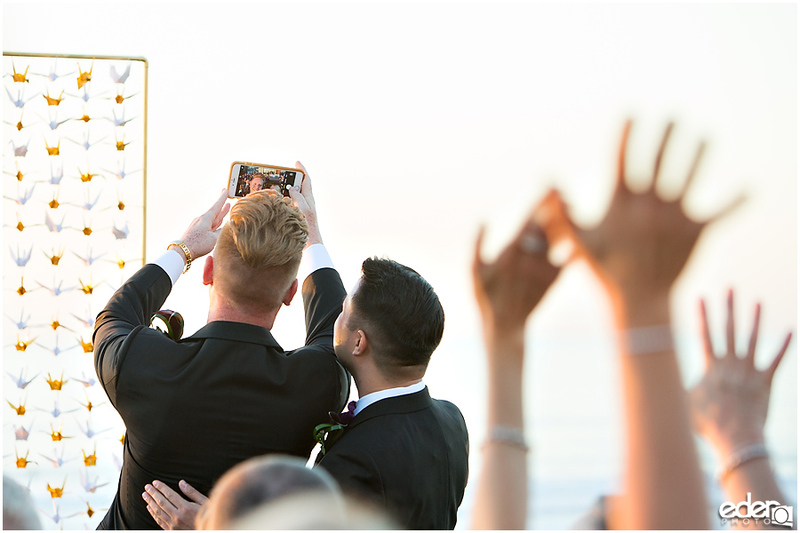 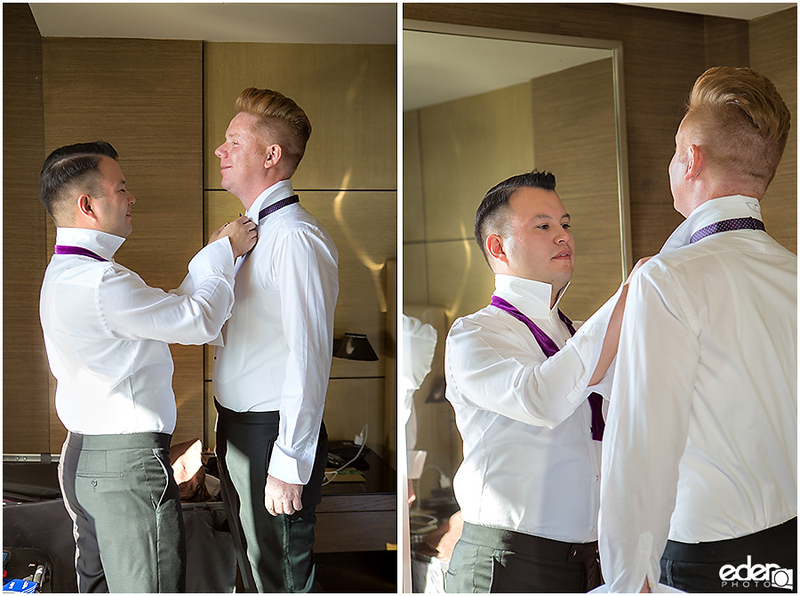 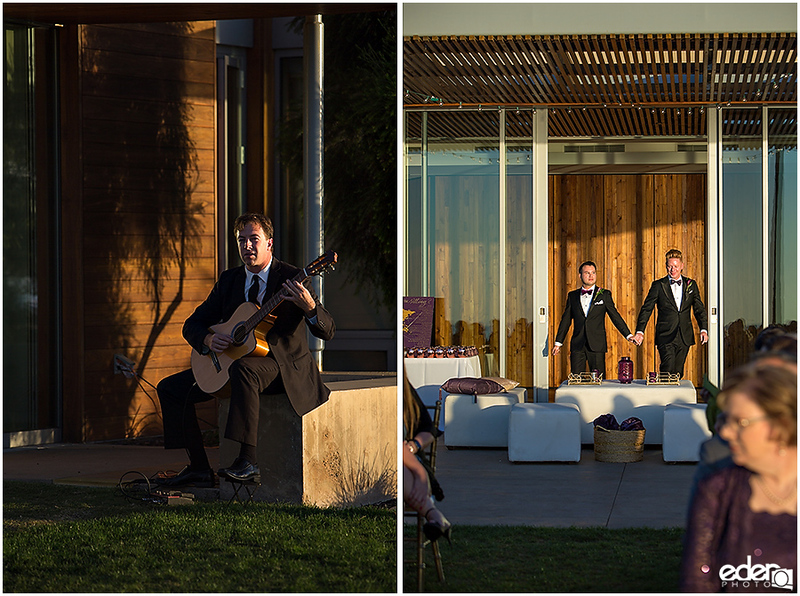 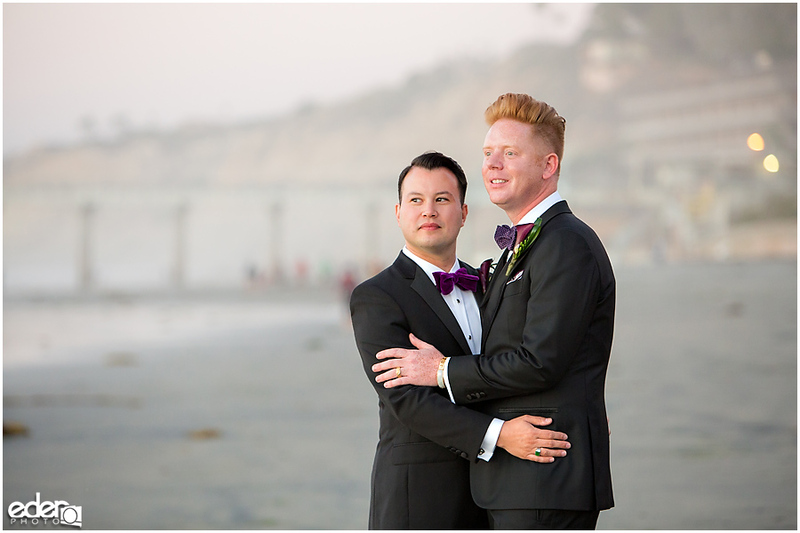 Chris and Adam’s Scripps Seaside Forum Wedding felt like it had every ingredient to make a memorable celebration. 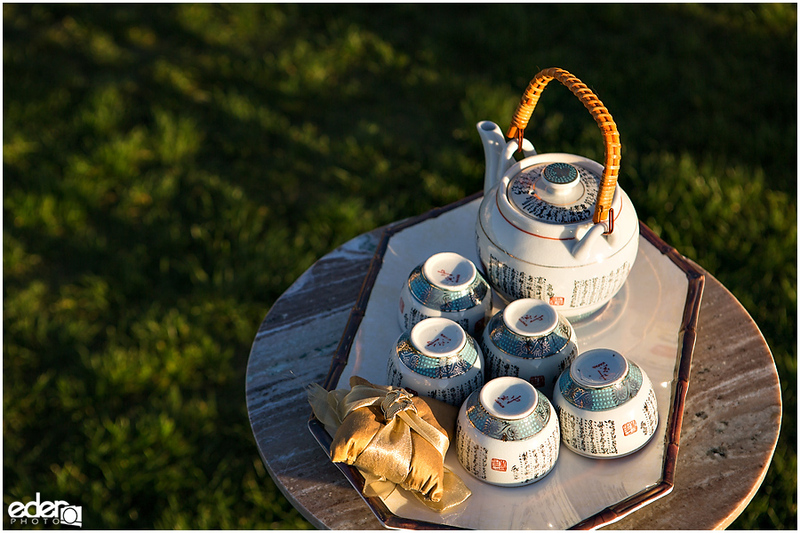 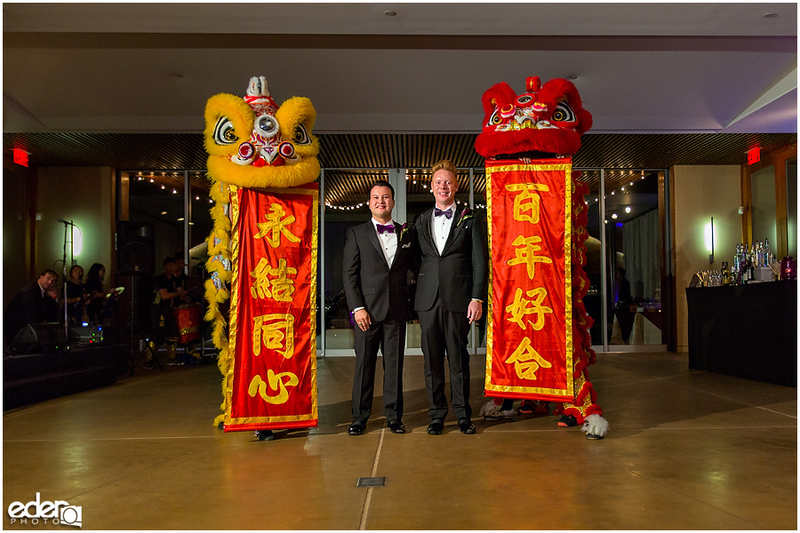 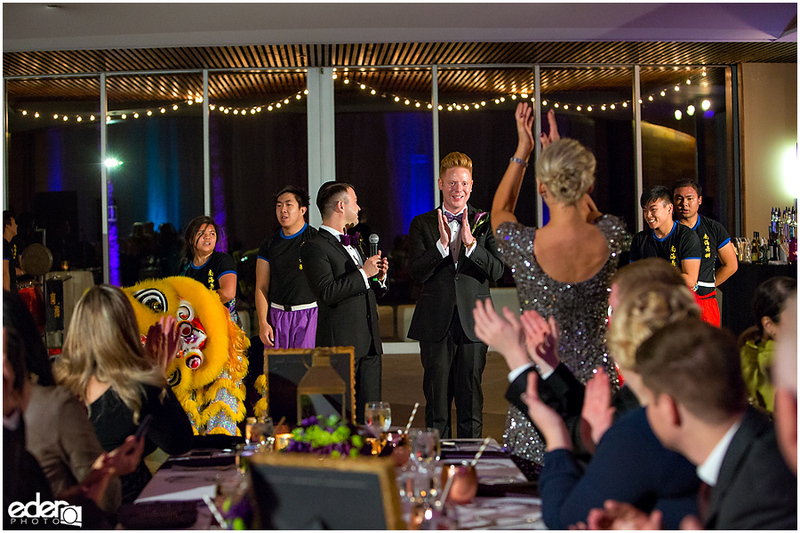 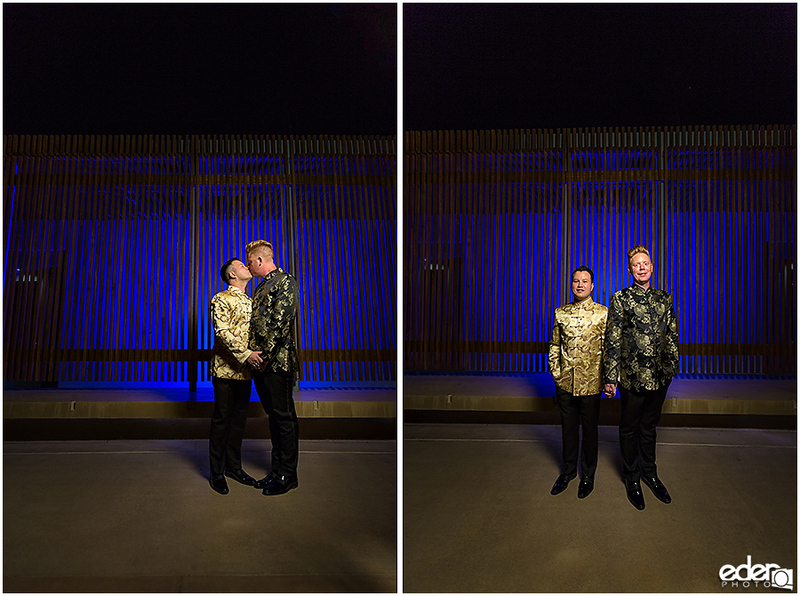 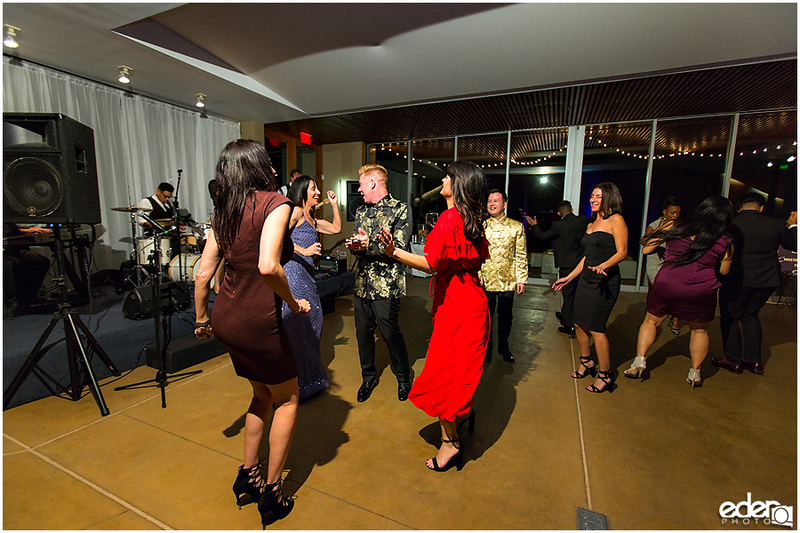 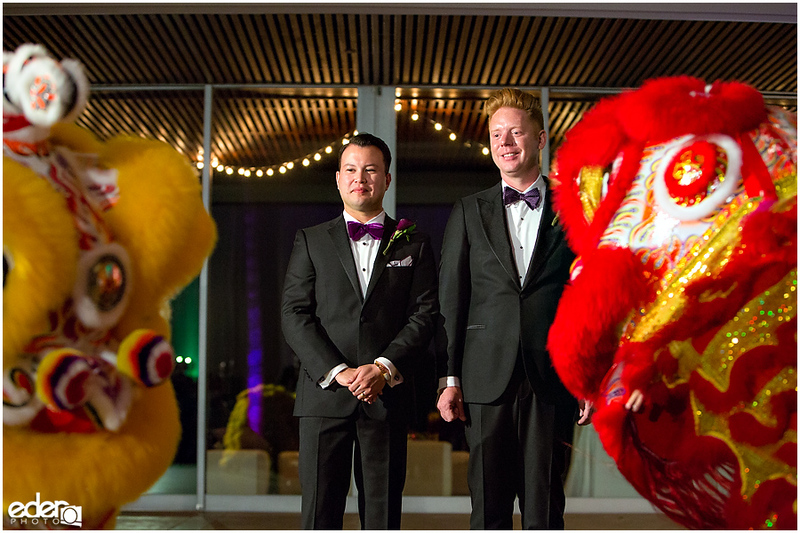 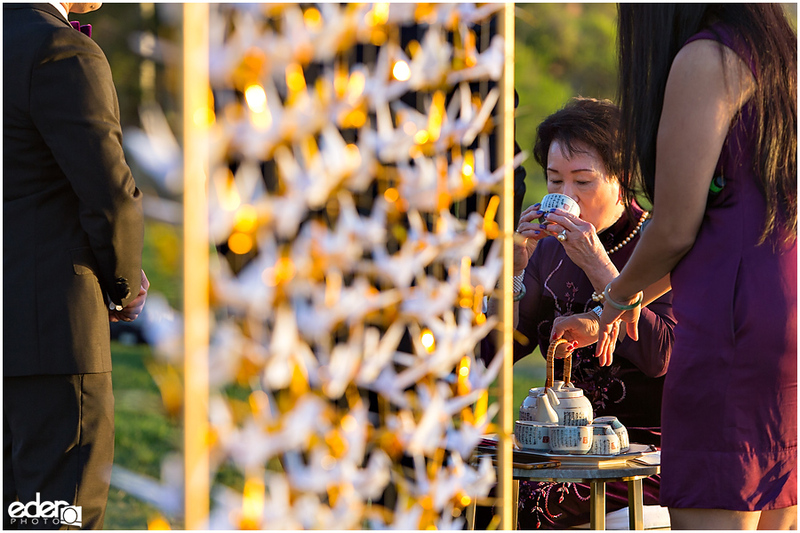 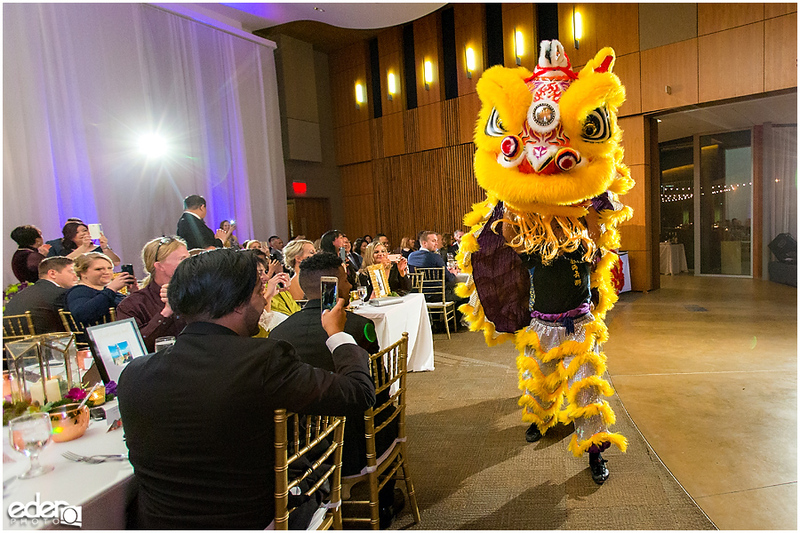 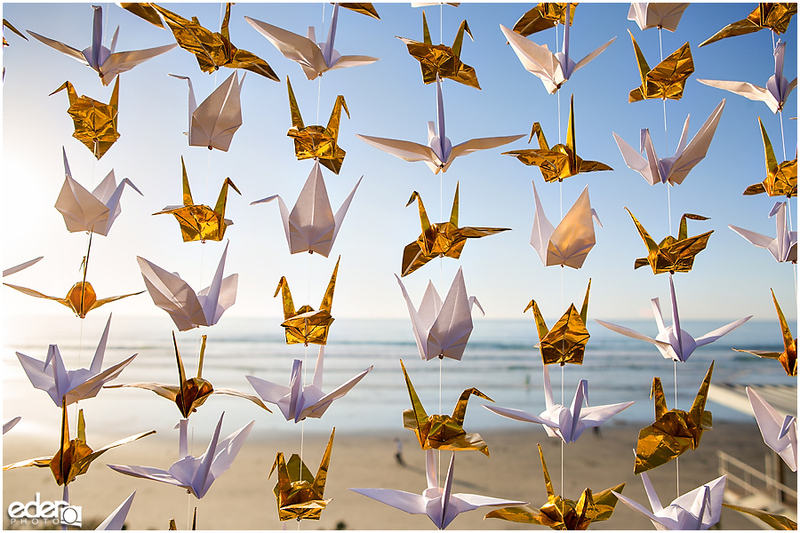 It had a sunset ceremony overlooking the water, live music, dancing dragons, and even a wardrobe change from tuxedos and bow ties to traditional Chinese outfits. 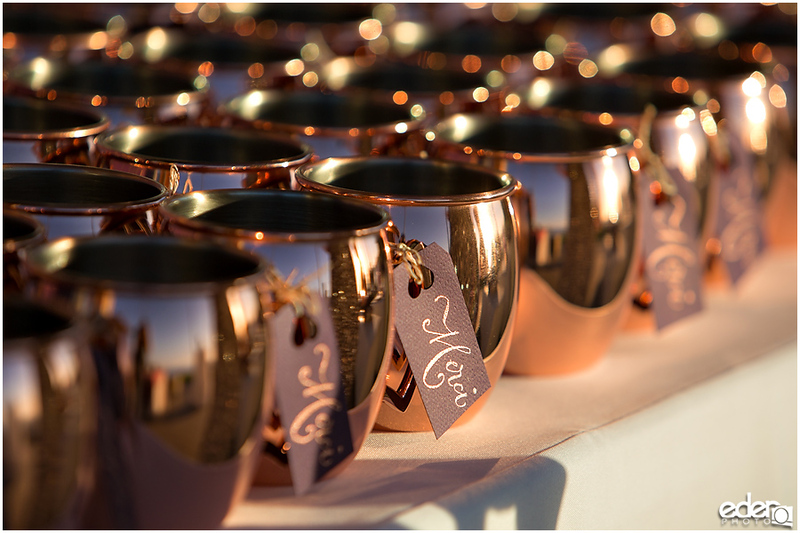 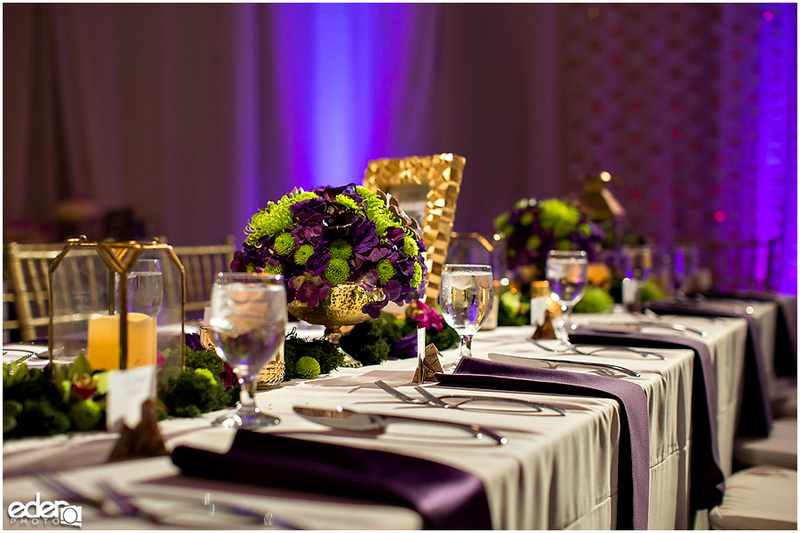 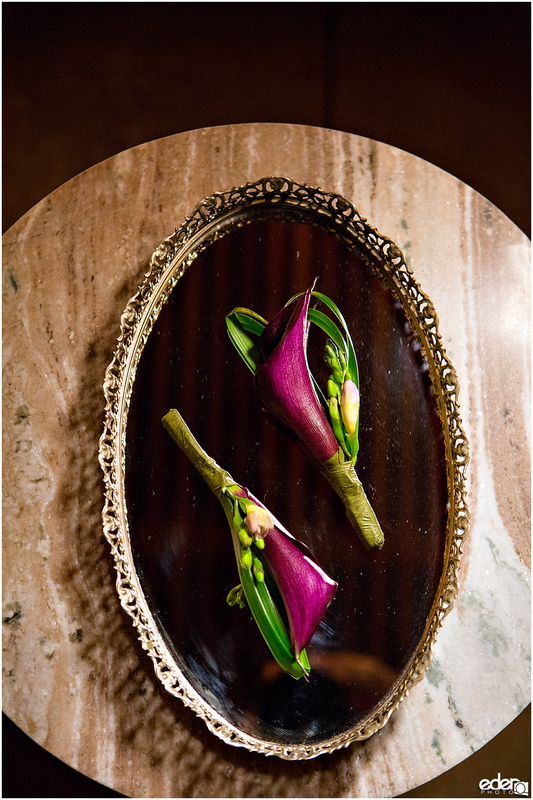 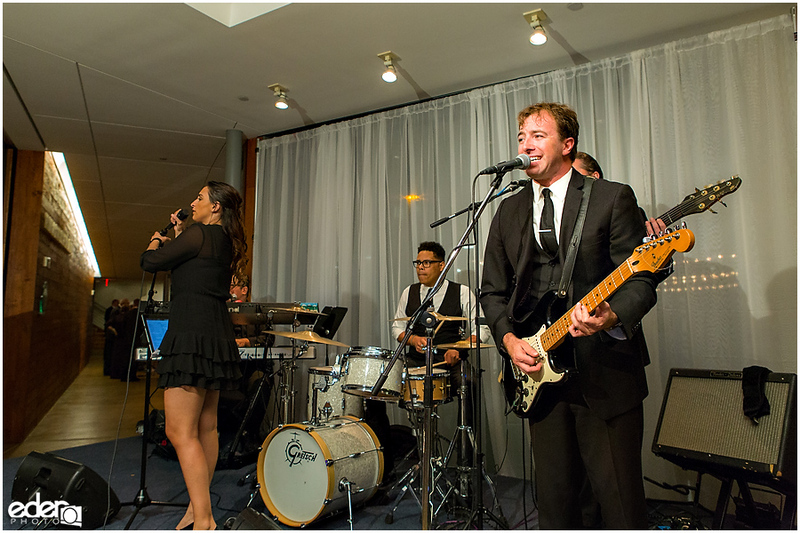 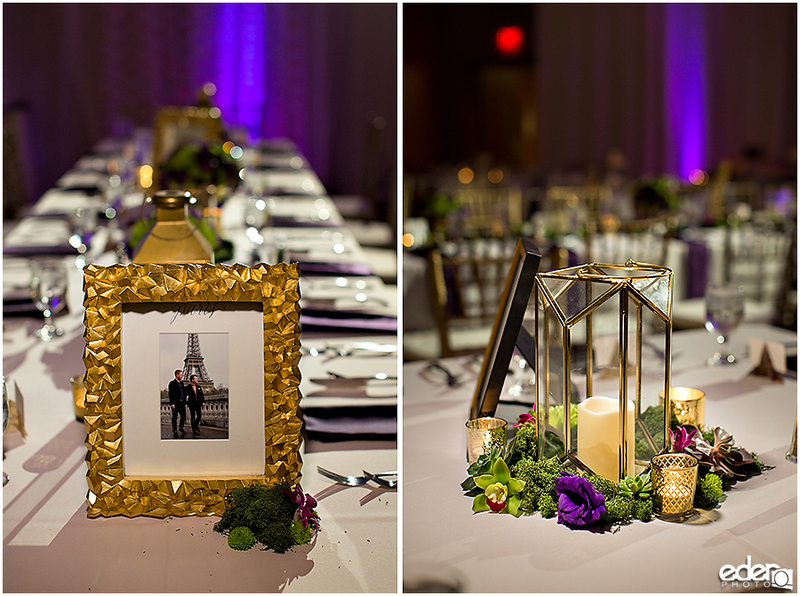 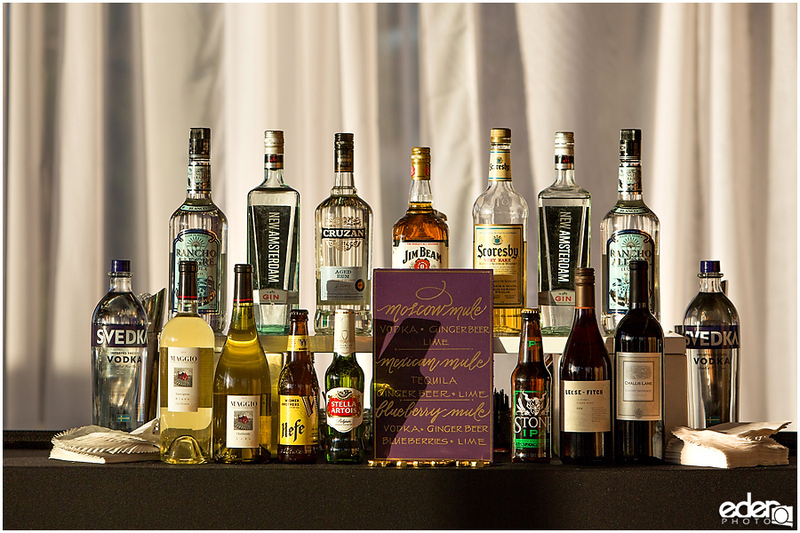 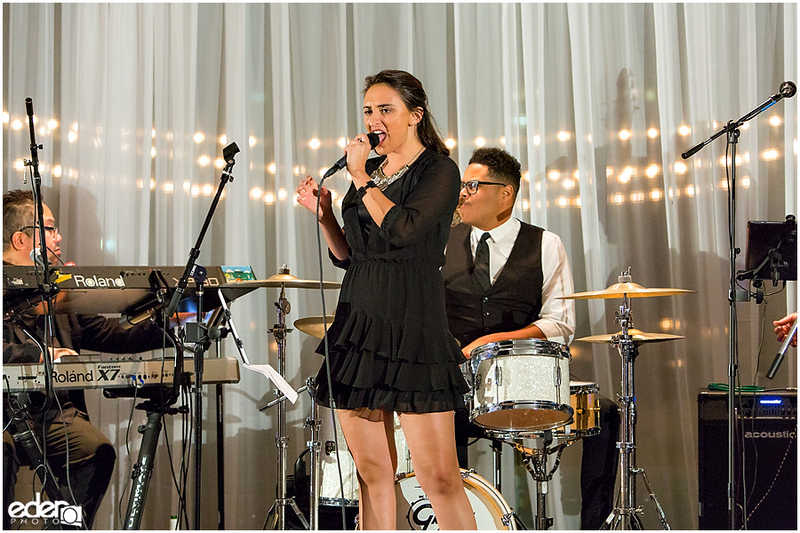 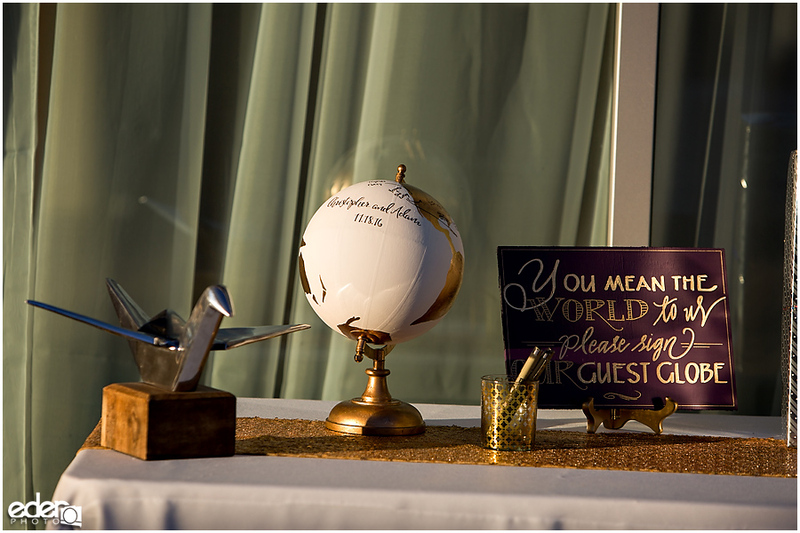 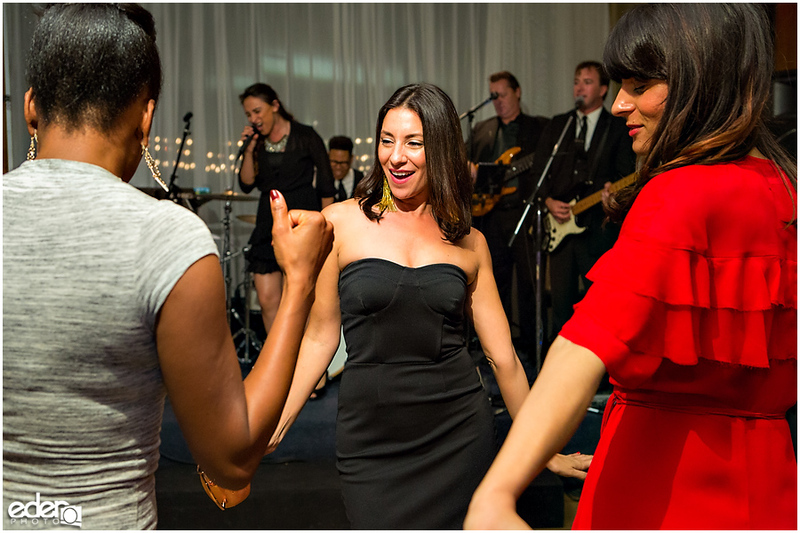 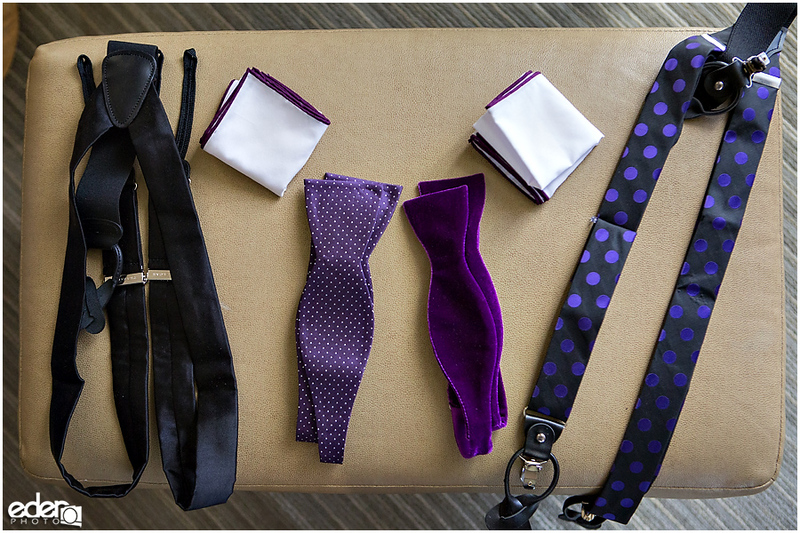 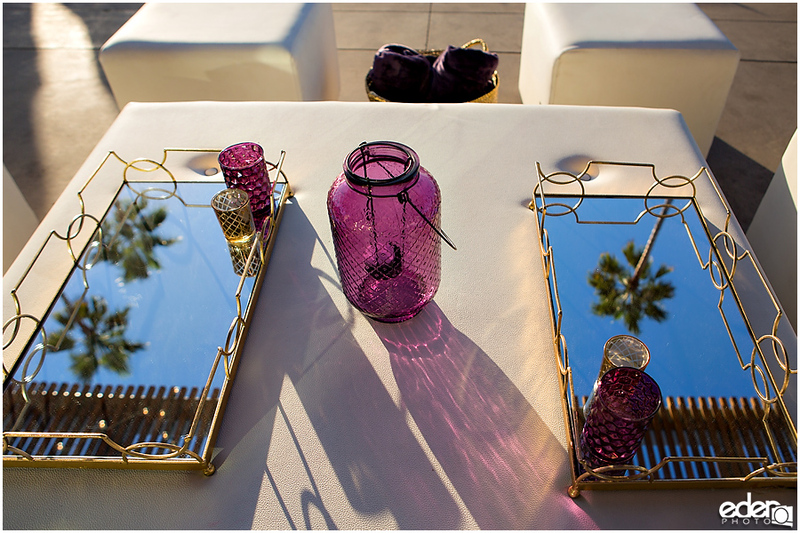 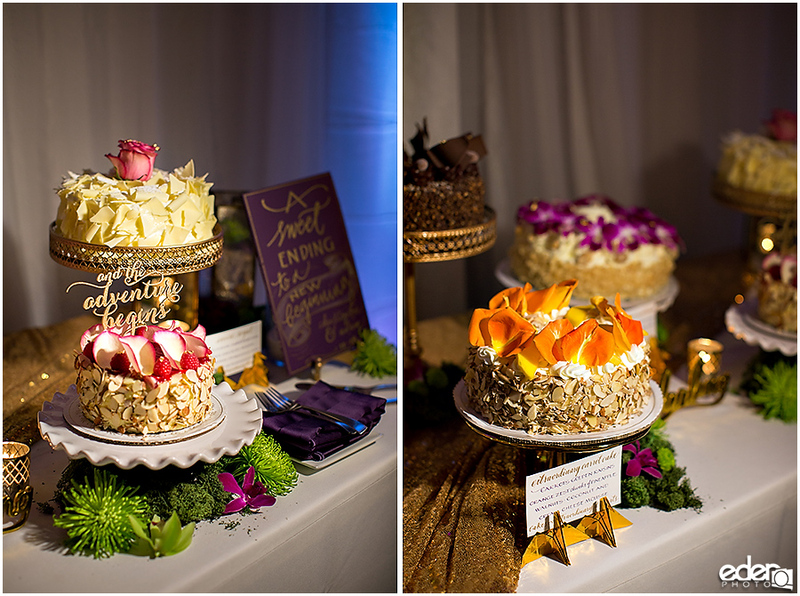 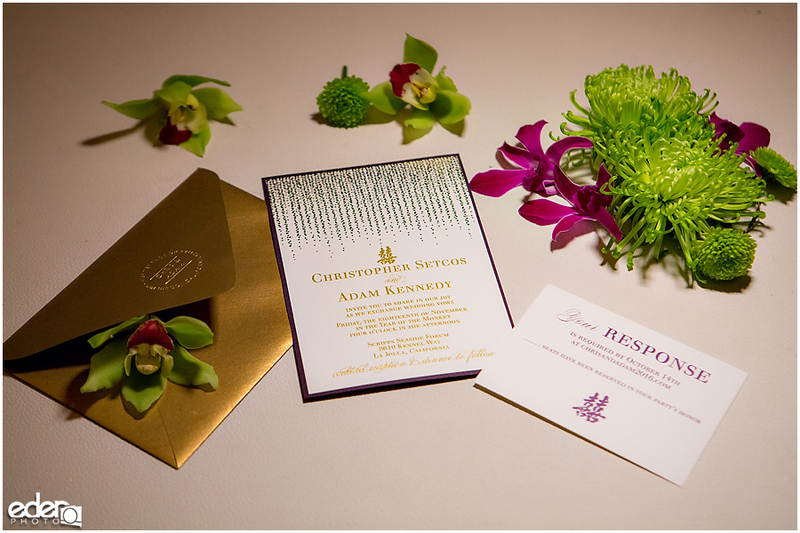 It was all designed in their style and brought to fruition with help of Amy June Weddings and Events. 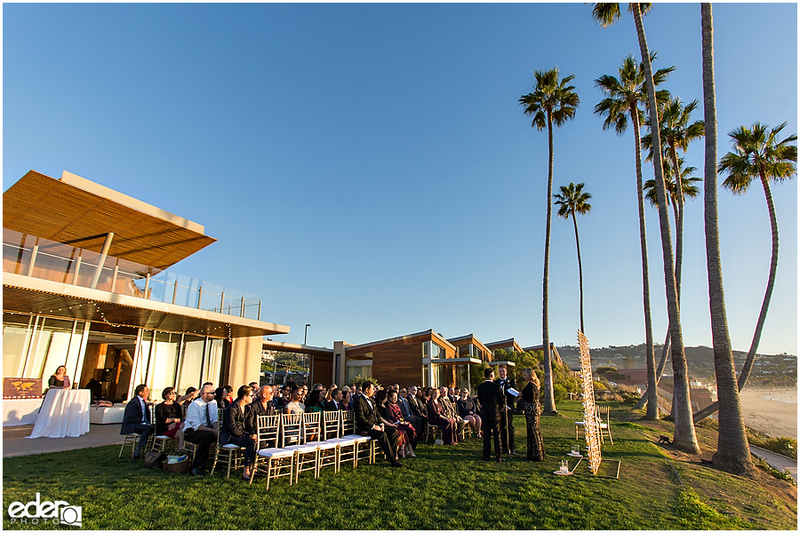 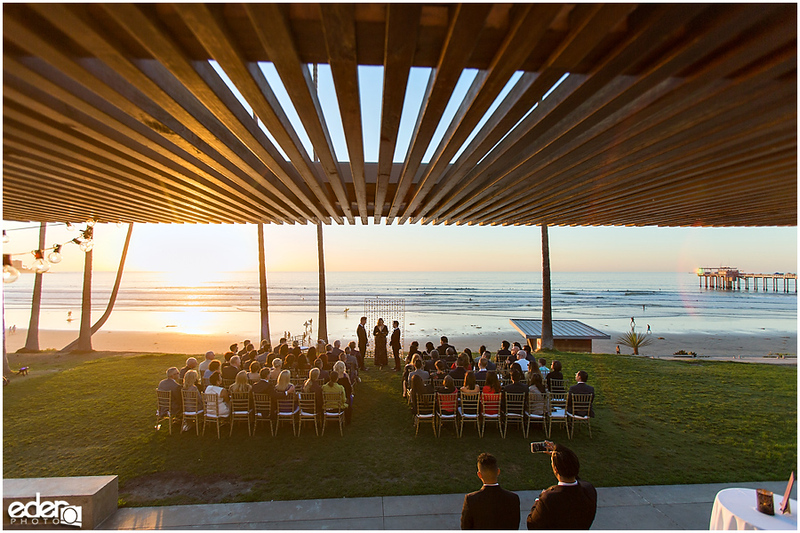 A great location to get ready for a Scripps Seaside Forum Wedding is Hotel La Jolla. 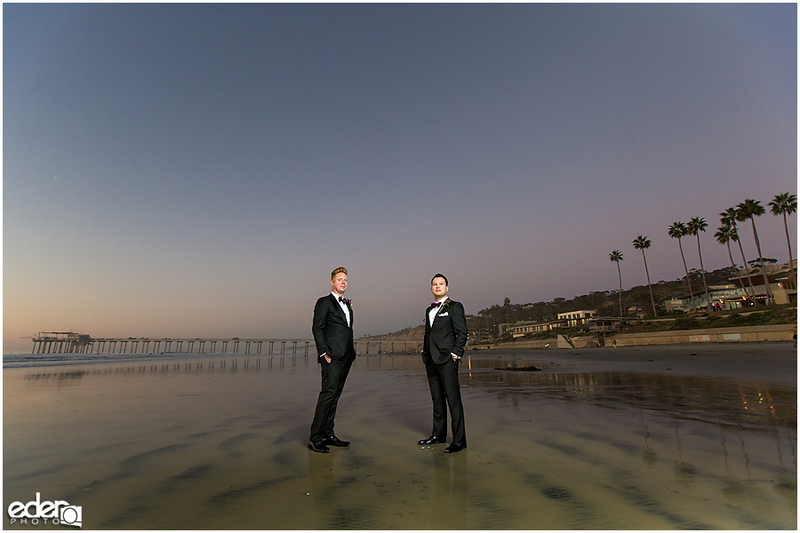 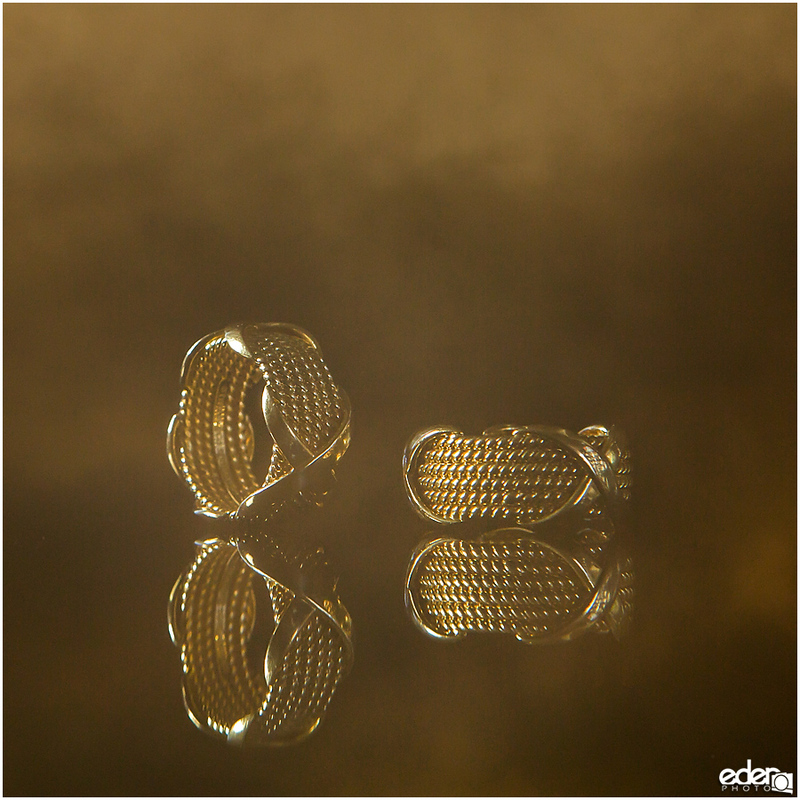 It’s only a few minutes away and has some great backdrop for getting ready photos and portraits. 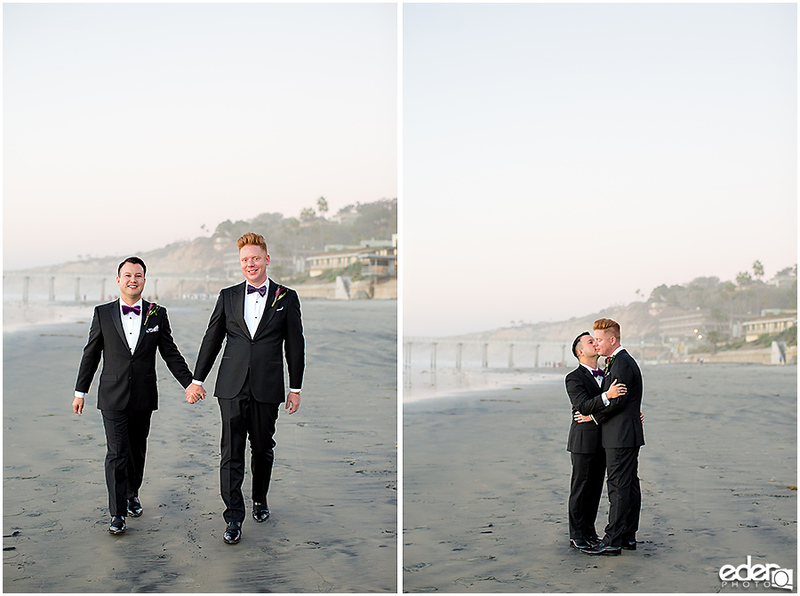 We started our day there and captured their details, prep, and family portraits. 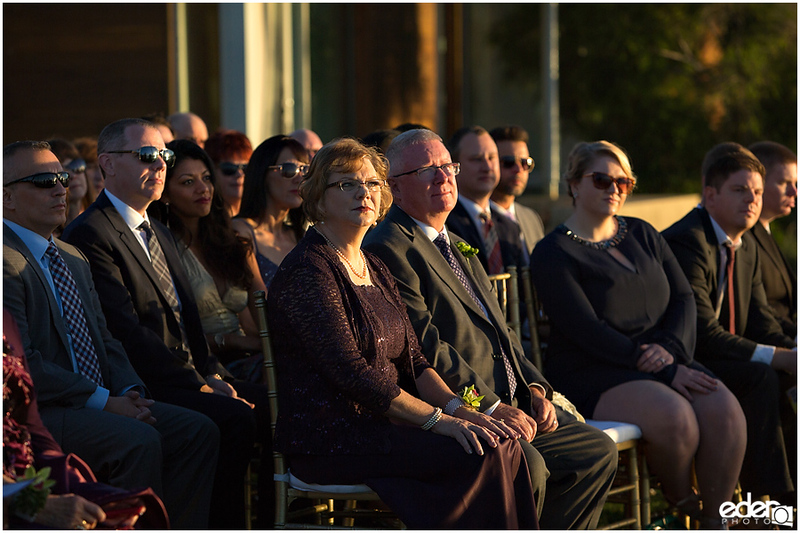 Getting family photos done ahead of time was perfect for the schedule, especially with the ceremony being at sunset. 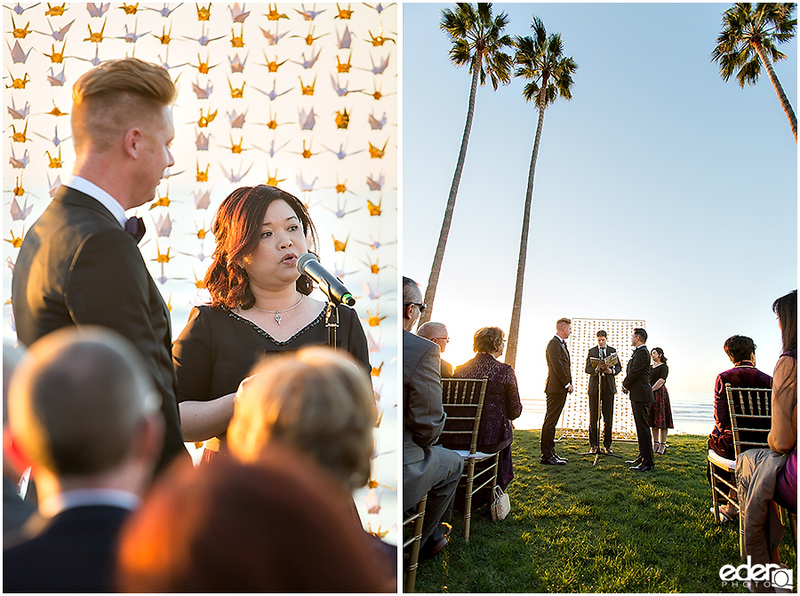 The sky during the ceremony was a beautiful gradient of colors in the sky. 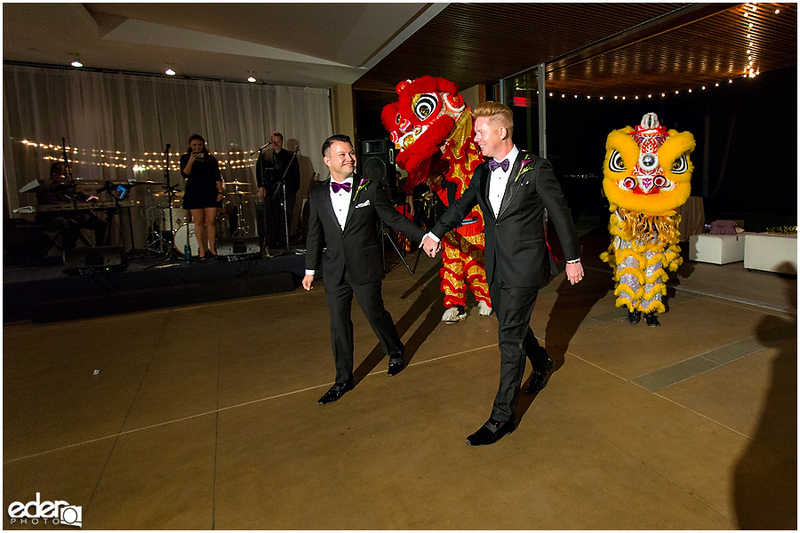 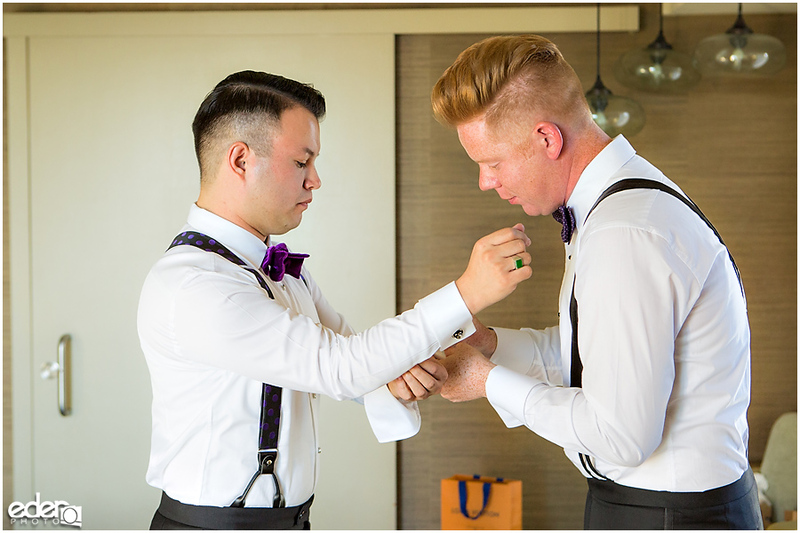 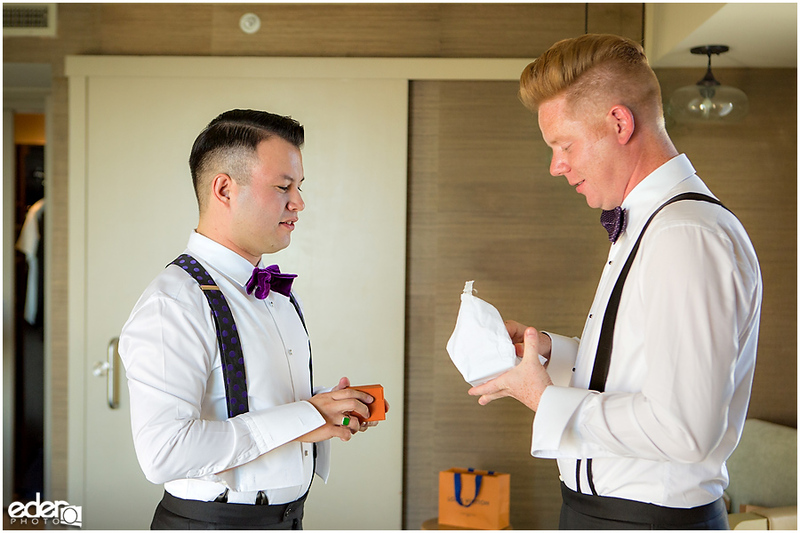 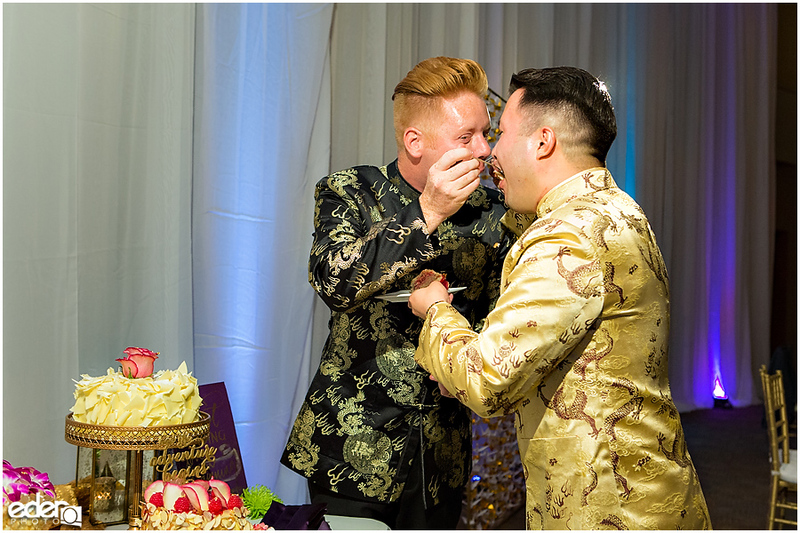 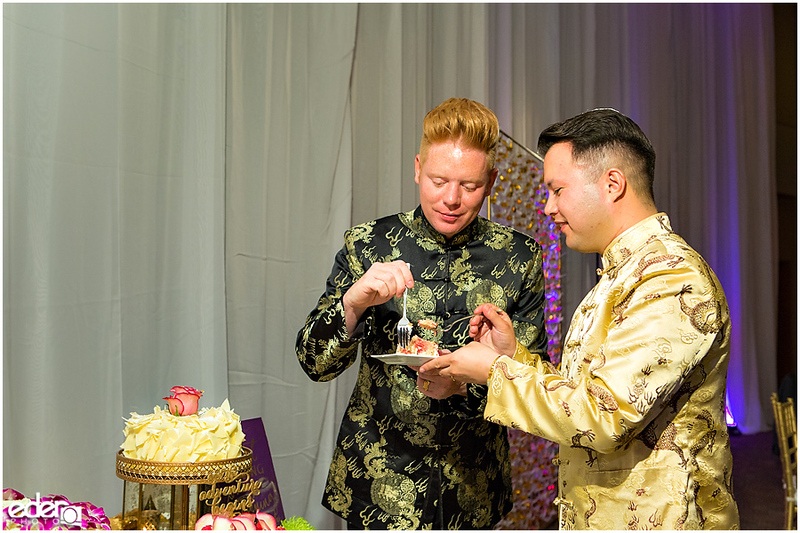 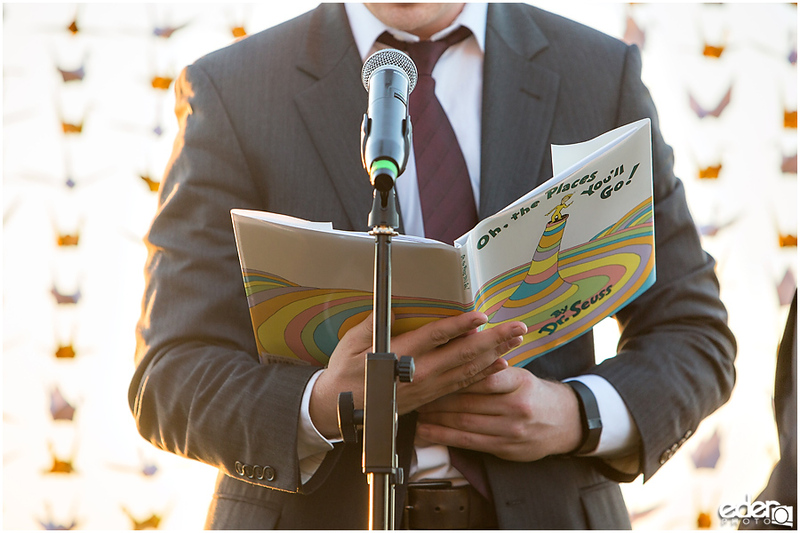 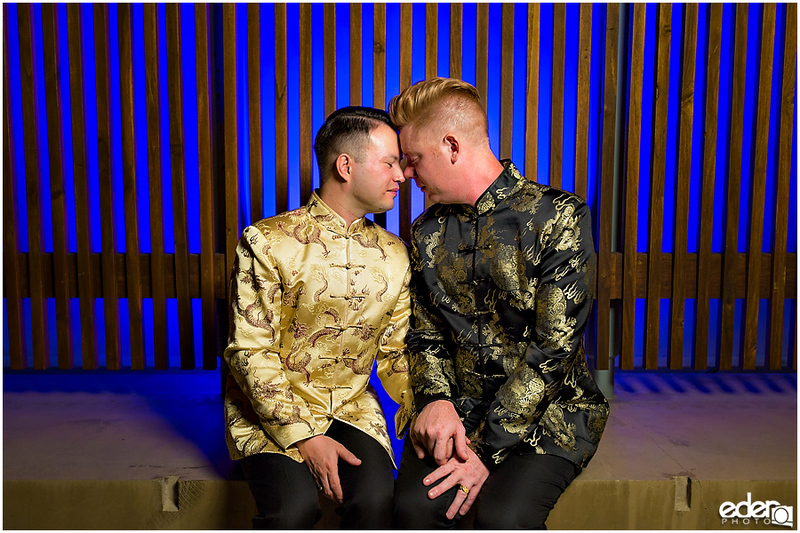 Adam and Chris did a short version of the traditional Chinese Tea Ceremony, had a reading from a Dr. Seuss book, and then exchanged their vows and rings. 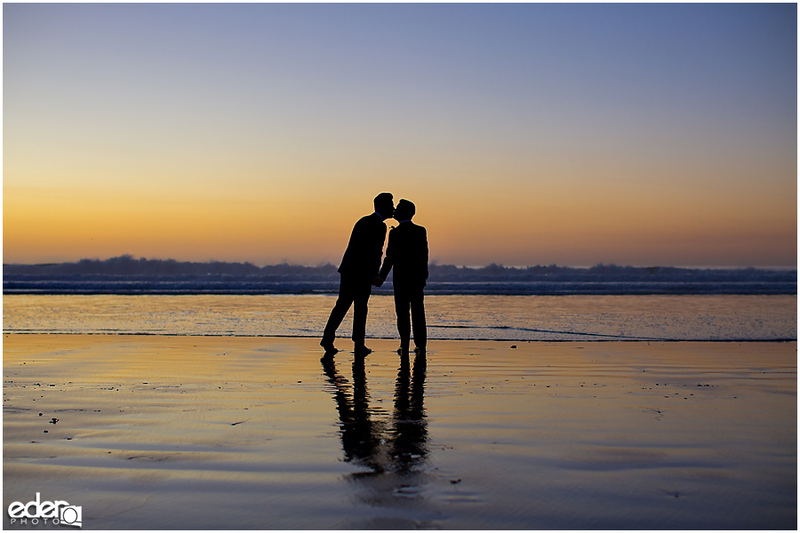 After the kiss, we ran down to the beach to do some sunset portraits. 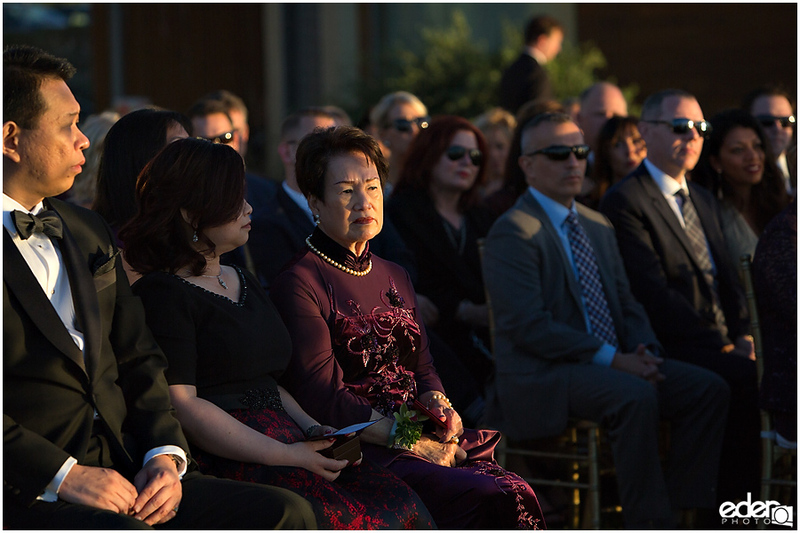 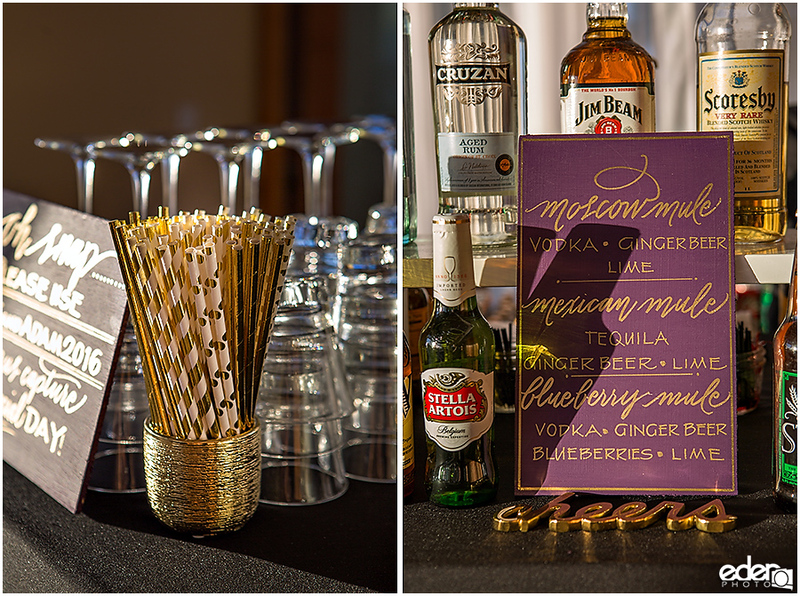 There were a few highlights for me during the reception. 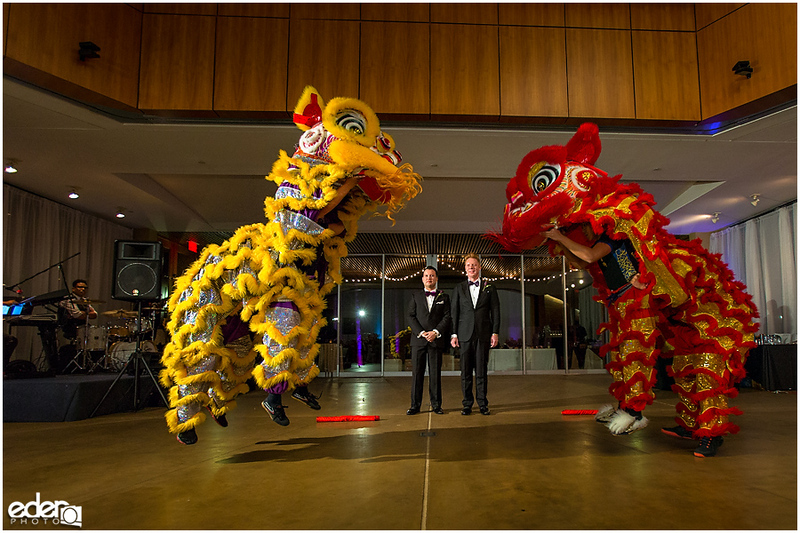 The first was the dragon dancers that put on a show that wowed the guests. 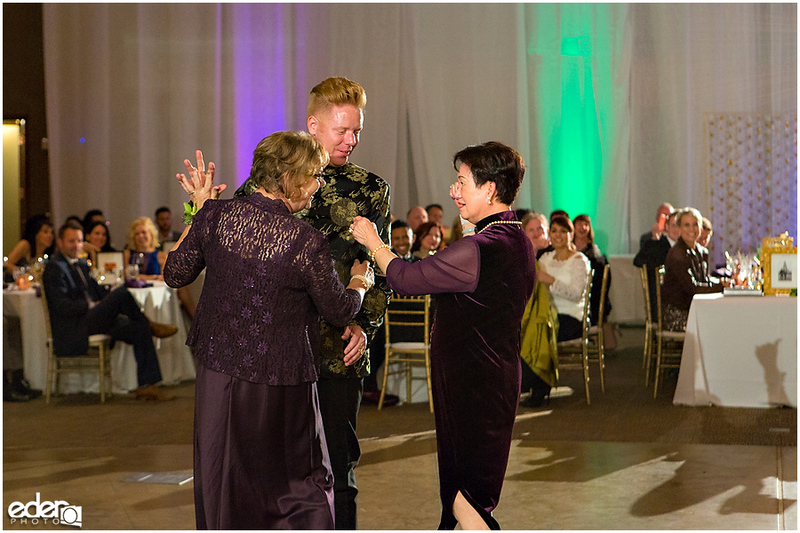 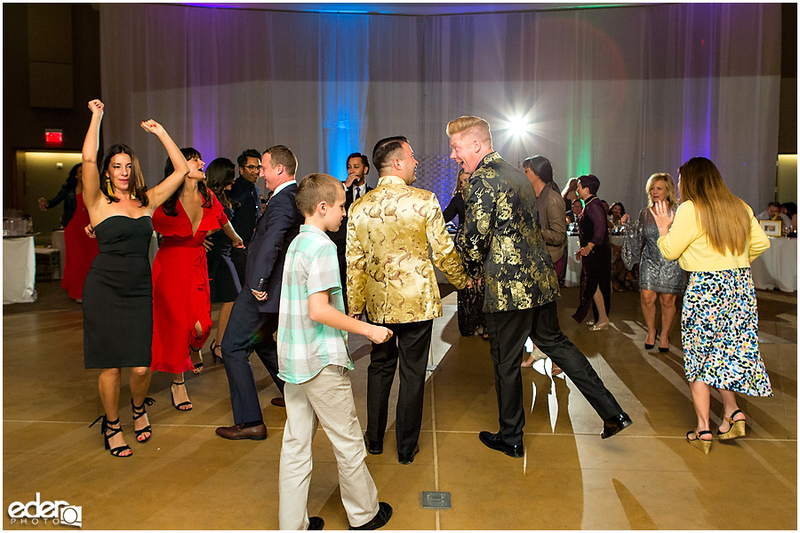 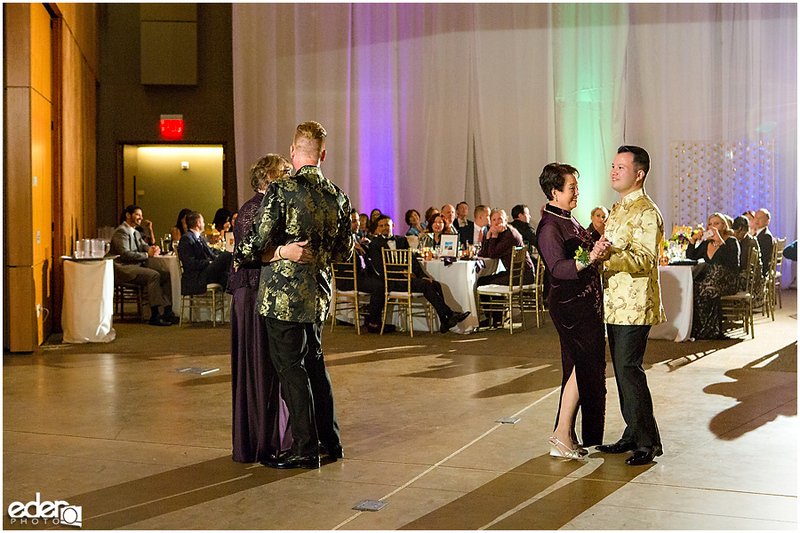 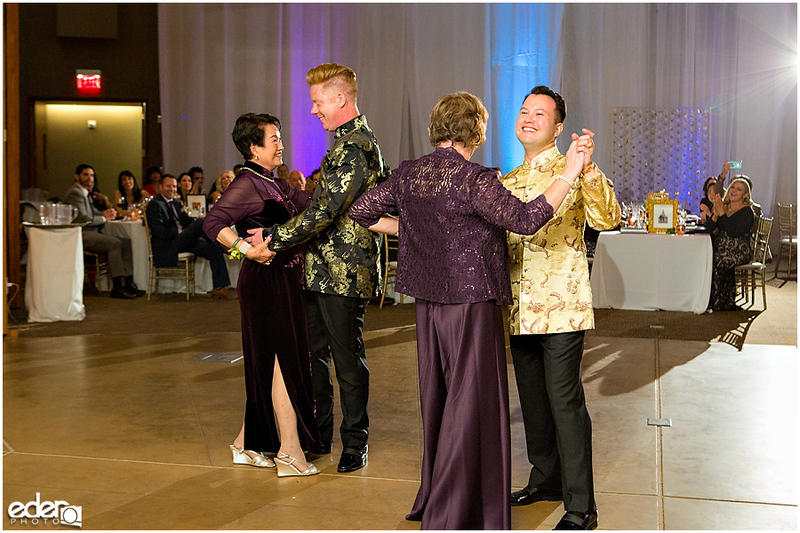 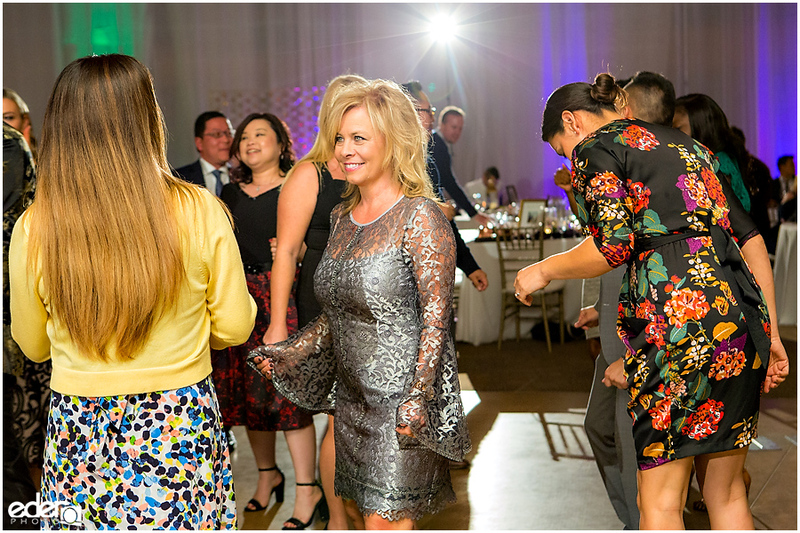 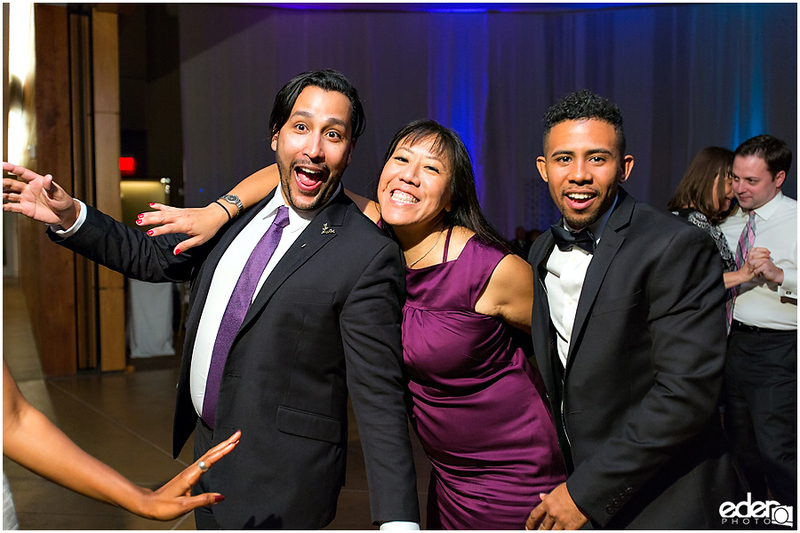 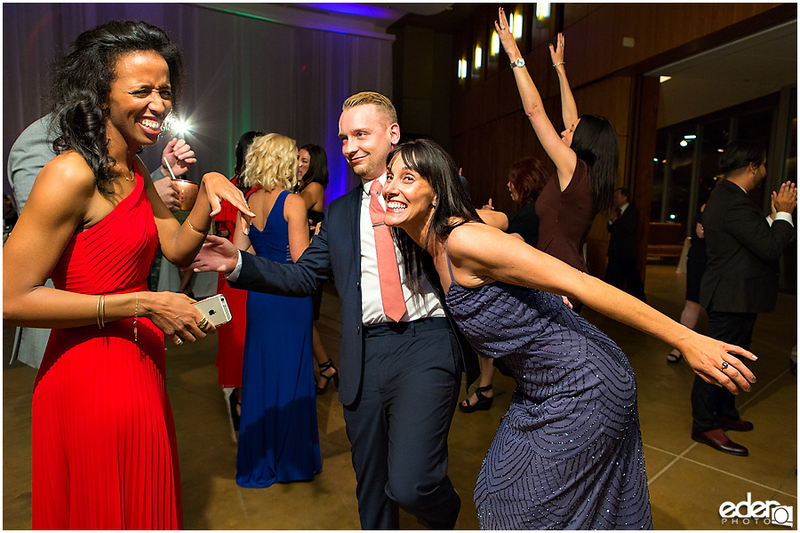 Another was a sweet moment during the mother son dance, when the moms switched and danced with their son in laws. 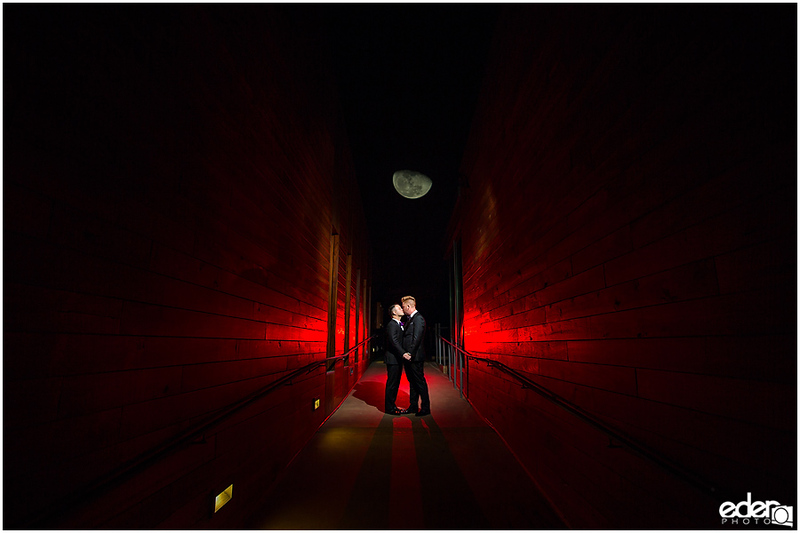 Chris and Adam were awesome to work with and I’m very happy that I got to be there for their wedding day.